An important reason for doing fieldwork is to answer research questions. These can be as simple as whether or not an historic building really had a chimney, or as complicated as trying to identify a prehistoric population that is no longer in the area. 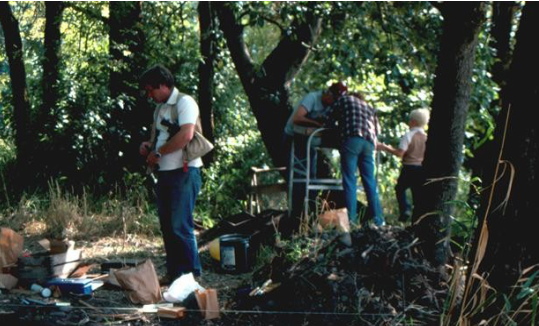 The following images demonstrate some of the artifacts and features observed during excavations. 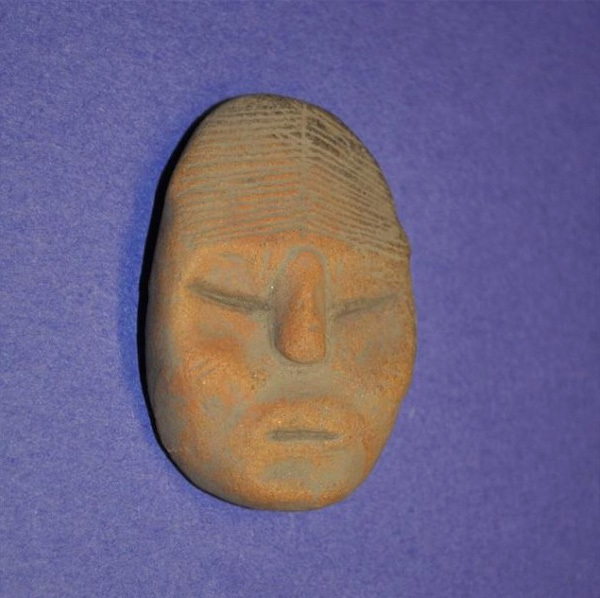 A fired clay sculpture (left) produced by a culture that is no longer in the N.W. Note the eyebrows, hat, nose, and the eyes. This sculptural fragment was made in Washington State, ca. A.D. 1300. Lower portion of a fired clay pendant (left) showing eyes, nose, mouth, and hair or headdress. Also from the site area in Washington State. 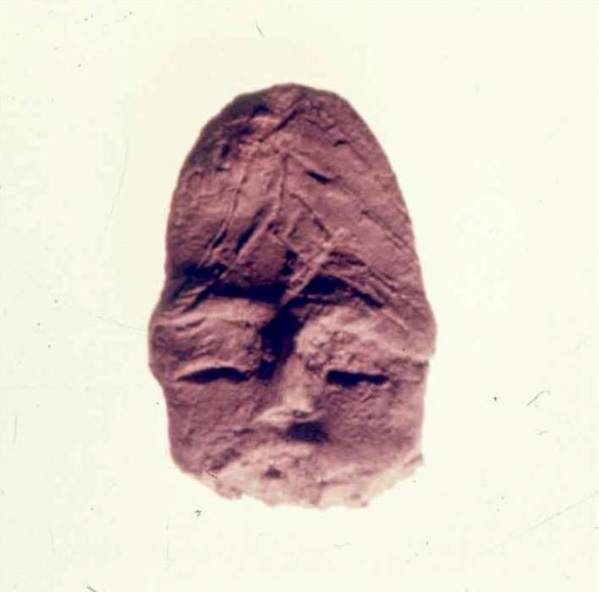 Miniature mask form (left), made of fired clay and also from the prehistoric ceramic site area in Washington State. Can the faces looking back at us give clues as to the maker’s identity? Photo available thanks to the Clark County Historical Museum. Ming dynasty porcelains (right), ca. 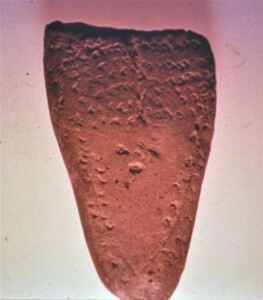 A.D. 1500, made into projectile points. These materials are associated with two prehistoric sites on the Oregon Coast that date to the same time period. This image generously provided by Herb Beals. 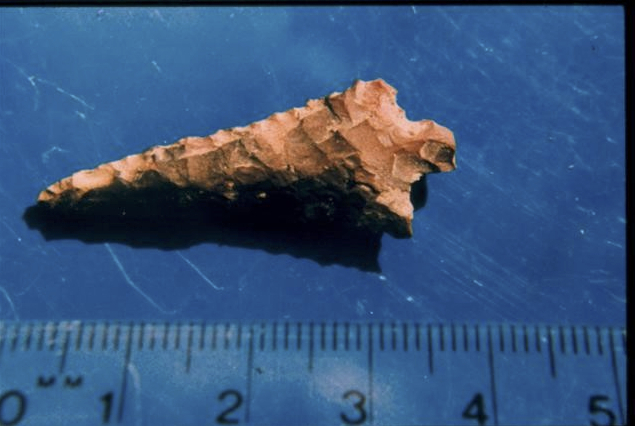 The type of material used and the style of a flaked stone tool can often tell a lot about the culture who produced it. This image generously provided by Dennis Honse. Does this face look Olmec, or Japanese, or Northwest Coast? 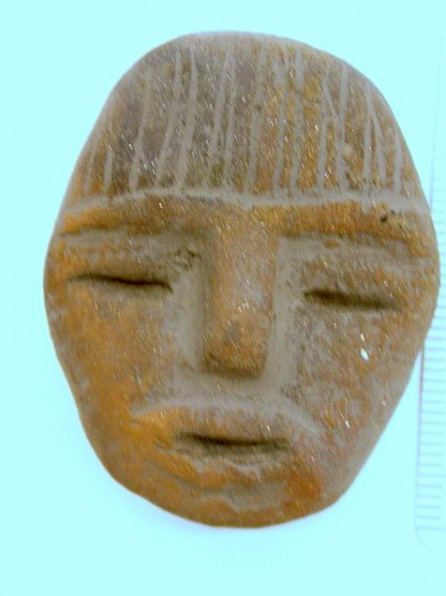 What culture is represented, and why was this object made?It dates from A.D. 1210-1650. The controlled excavation of a site can bring to light many facts that were previously unknown.